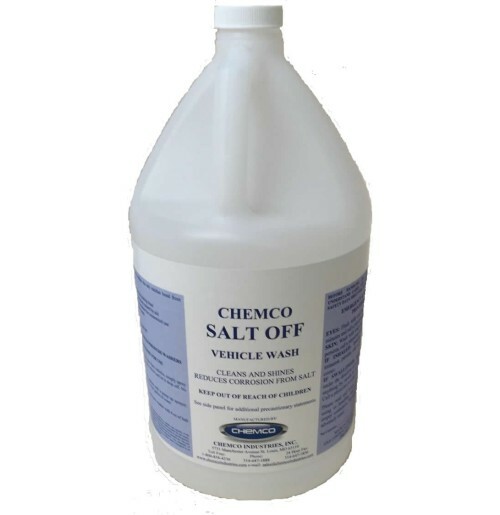 Liquid salt rinse for vehicles that chemically breaks the salt residue bond from vehicle surfaces. No rinsing necessary. 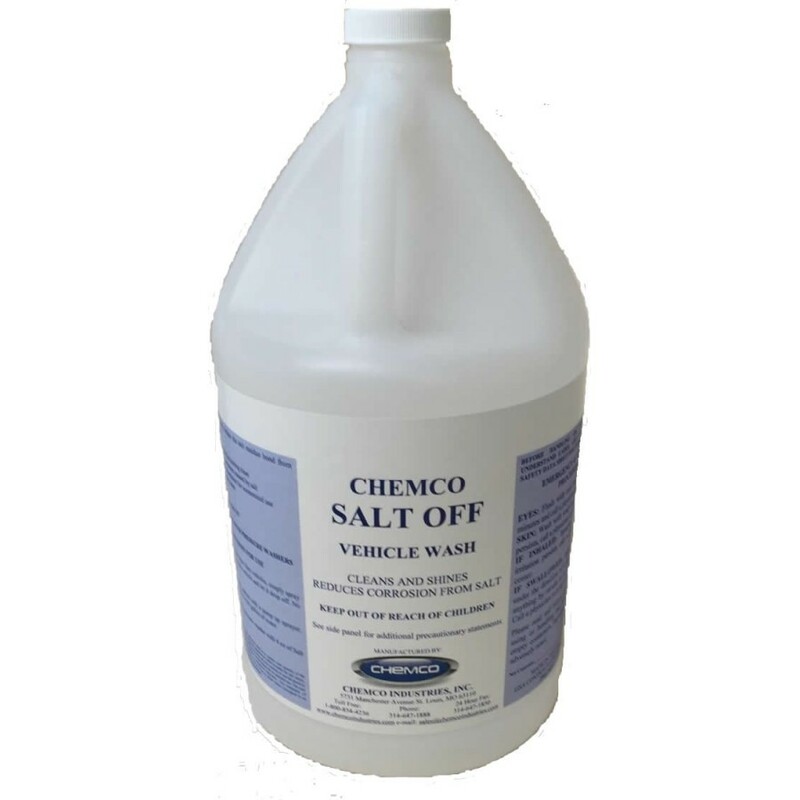 Salt Off is a road salt remover for vehicles. Ideal for removing road salt deposits from vehicles, heavy equipment, and other machinery. Use Salt Off liquid salt rinse to maintain and treat your industrial fleet during tough winter-time conditions. Reduces corrosion caused by salt. Highly concentrated for economical use. Ideal to use with pressure washers. Has a crisp winter scent.